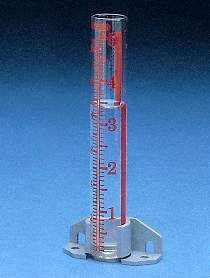 Measure rainfall accurately! Large easy to read scale is printed on glass in millimeters and inches. 5-1/2" high. Order mounting screws below.